Adelaide Carpet Fresh works with insurance companies, landlords, home owners, and tenants, to restore floors and walls after water damage, quickly, professionally, and thoroughly. I received a very high quality service from Adelaide Carpet Fresh. Communication was refreshingly great from everyone. Keaton did the water damage work very efficiently with a highly professional attitude but with genuine care. I highly recommend their service. We arrived home at the end of December to find our entire house flooded. The dishwasher hose had split. I called Adelaide Carpet Fresh just after midnight and spoke to the boys who were at our house within 45 minutes with all the gear. They were here for three hours removing all the water before setting up dryers. They were back and forth for a week and a half setting things up and moving things around and testing. Both Adrian and Keaton were very professional in every way. I have recommended Adelaide Carpet Fresh to our insurance company and to all our friends and family. Great to see fantastic customer service. The people at Adelaide Carpet Fresh are polite, efficient and the service is really impeccable. The pricing was reasonable and the turnaround excellent. Appreciated the communication and the ability to organise the service via email. Very impressed and would highly recommend for end-of-lease carpet cleaning. From the first moment I spoke to Keaton he was extremely professional! He turned up when he said he would and did the job very quickly. I phoned in the morning and he did the job that day which was great because my daughter had been sick the night before. He explained everything that he was doing. Unfortunately the marks didn't come out the first time once it had dried but as soon I let Keaton know he was back there again. The only reason I think they didn't come out is because I put a lot of bicarb soda over it. Keaton explained to me what to next time in that situation. He didn't charge me what had been quoted because he finished the job much quicker than he had first thought it would take him. I highly recommend Keaton and the team at Adelaide Carpet Fresh and will most definitely be using them again in the future!! Adrian has always been efficient, cost friendly, very professional to deal AND an excellent carpet cleaner! 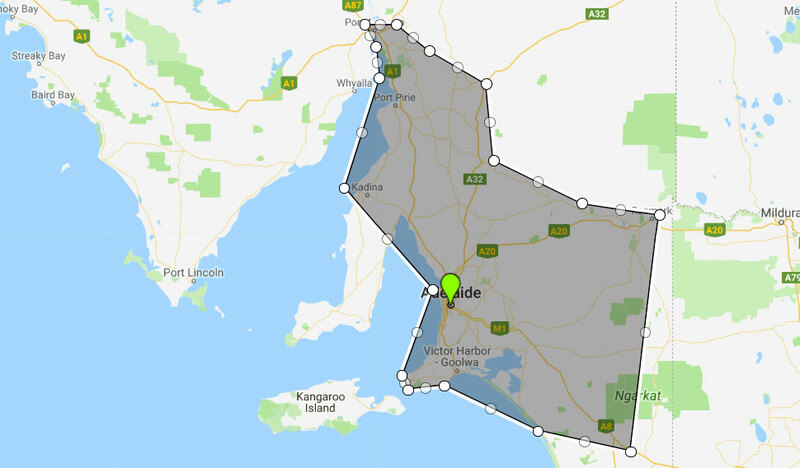 I have used Adrian many times both personally and through my Property Management agency for vacating carpet cleaning, water extraction and insurance claims.I have recommended Adelaide Carpet Fresh to personal friends and scores of clients - he is a magician at carpet cleaning and couldn't recommend him highly enough! When flood or water damage strikes your home, office, or building, get help from a professional, experienced restoration team in the first 48 hours. By calling Adelaide Carpet Fresh now for a free, on-site inspection and quote, we can talk to you about your situation and respond as needed to prevent further damage and restore walls, floors, and ceilings. Thermal Imaging Technology means we find all the damage! Take a look at our video of thermal images from water damage restoration jobs we’ve completed in and around Adelaide. As you can see, our Thermal Imaging video shows Adelaide Carpet Fresh has the equipment and the expertise to get your flood and water damage restoration done right, the first time. This is why we are trusted by insurers and building owners alike! Adelaide Carpet Fresh has been the leading name in flooded carpet drying Adelaide wide for many years. As one of the most experienced and reputable water damage companies and water removal services in Sydney, we know that in cases of water damage, regardless of scale, immediate attention is of the utmost importance. We strive to deliver a quality service that exceeds all customers’ expectations. Our flood restoration Adelaide technicians are on call to assist you with wet or flooded carpet, providing prompt and professional service to restore wet carpet as quickly and cost-effectively as possible. Showers, vanities, taps, and other plumbed areas within homes and offices are prone to seeping or more aggressive leaks. From burst pipes to storm damage, we can investigate and then dry your flooded carpet in Adelaide. We follow a specific process to ensure the carpet is completely dry. Few smells are more confronting than damp, mouldy carpets. Beyond the smell, you also face the risk of exposure to allergens and black mould poisoning, which can aggravate respiratory conditions such as asthma. That’s why it’s best to remove all traces of mould as soon as possible. Moisture trapped within the walls and floors of your property can lead to dangerous mould growth if it’s not found and dealt with promptly. Our experienced team has the equipment and know-how to inspect these areas and make sure they’re left completely dry along with the carpets. We specialise in providing professional flood and carpet restoration Adelaide property owners can rely on. Our skilled technicians will undertake a thorough process to dry all wet carpets and prevent future issues with mould contamination in your home or business. We carefully review and categorise the source of water damage and the extent of the water damage using specialised instruments and monitors to guide our assessments. We’ll determine how saturated your carpets, underlay and subfloor are and also if the water damage has started to wick up to your walls before we get to work.